Central Area of The Links, Incorporated convenes Leadership Summit in Merrillville, Ind. The Central Area of The Links, Incorporated, will convene the 2014 Central Area Leadership Summit, Empowering 21st Century Change Agents: Phase II, October 24-26 at Radisson Hotel Star Plaza in Merrillville, Ind. Hosted by the Northern Indiana (IN) and South Bend Area (IN) Chapters of Links, Incorporated, the Summit provides hands-on leadership training and transformational program opportunities for Links members. Prior to the start of the summit meeting, the members of the Central Area will activate its We CAre ‘Wrap-Up For Winter&apos; service project at Sojourner Truth House, 410 West 13th Avenue, Gary, Ind., at 9:00 a.m. on Thursday, Oct. 24. In the Links tradition of providing hands-on volunteer service in host cities, donated winter apparel including hats, gloves, scarves and socks, as well as hands-on organizational assistance will be donated to Sojourner Truth for both program participants and the facility. The We CAre ‘Wrap-Up For Winter&apos; service project is spearheaded by the Chicago Cluster, Northern Indiana (IN) and South Bend Area (IN) chapters of The Links, Incorporated. Alice Strong Simmons, Central Area director said, "We are always gratified to provide service in the communities where we host our meetings and feel fortunate to be able to advance the work at Sojourner Truth House. We are pleased to work with our host chapters, Northern Indiana (IN) and South Bend Area (IN), in partnership with Mayor Karen Freeman-Wilson, mayor of the city of Gary, Ind., and a member of the Northern Indiana (IN) Chapter of The Links, Incorporated, to answer the call for assistance at Sojourner Truth House." The summit will address two major initiatives facing our communities, Closing the Achievement Gap: Phase II, Math and Literacy Initiative, which addresses the critical educational needs of children, and the Central Area&apos;s From the Heart HBCU Scholarship Endowment Campaign. Funds raised from the campaign continue to enrich the Central Area Endowed Scholarships established at the 17 historically black colleges and universities to ensure that those who start their college journey finish. The 2014 Central Area Summit is generously supported by Toyota, Cox Business, Kansas Gas Service - A Division of ONE Gas, Oklahoma Natural Gas - A Division of ONE Gas, South Shore CVA and Gurley Leep. The Links, Incorporated celebrates more than 65 years as a women&apos;s volunteer service organization committed to enriching, sustaining and ensuring the cultural and economic survival of African Americans and other persons of African ancestry. A premier international service organization with more than 12,000 members in 280 chapters located in 41 states, the District of Columbia and the Commonwealth of the Bahamas, its legacy of friends providing service that changes lives, established by the original circle of nine friends in Philadelphia, Penn., in 1946, is alive and well. The members of The Links, Incorporated are influential decision makers and opinion leaders. 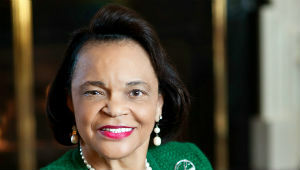 The Links, Incorporated has attracted many distinguished women who are individual achievers and who have made a difference in their communities and the world. They are business and civic leaders, role models, mentors, activists and volunteers who work toward a common vision by engaging like-minded organizations and individuals for partnership. With more than two million service hours recorded in the past three years, members regularly contribute more than 500,000 documented service hours in their respective communities annually. The Links Foundation, Incorporated, the philanthropic arm of The Links, Incorporated, has made more than $25 million in charitable contributions since its founding. Working closely with its sponsors and supporters, The Links, Incorporated is focused on creating transformational programming and impacting lives in communities of color through Services to Youth, The Arts, National Trends and Services, International Trends and Services, and Health and Human Services, to improve the quality of life for individuals, families and communities. The Links, Incorporated: "Linked in Friendship, Connected in Service. For more information visit, www.linksinc.org. The Central Area of The Links, Incorporated is comprised of 17 states throughout the Midwest with 68 chapters and more than 2,200 members. For more information, please visit www.centralarealinks.org.